Charges are also being introduced for this type of waste, but there will be a free allowance of one 25kg bag of rubble per day. This will be a cashless system with payment by card only. 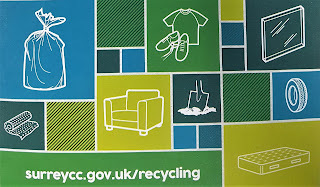 For further information and updates visit surreycc.gov.uk/recycling or call 03456 009 009.